We all want to travel and explore the world, go in the wild, click photographs, and be a travel-bug. But, what we're forgetting is that we live in a wonderful city ourselves, and that, we can find all that's happening right around us. We ignore the beauty of the city we're living and go for some foreign destinations. It's as if we're so busy chasing the faraway stars, that we're absolutely forgetting about the brilliant moon that's around us. 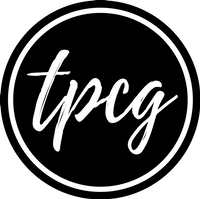 Therefore, I have made a City Guide, where you can do all sorts of activities in and around the very city you live in. (It's weird, but nowadays I'm truly interested in the night-life.) You can hit all the pubs, clubs, lounges, and discos of your city, and figure out which one you like the best. Now, no need to trouble your brain every Saturday night. Just make a list of all the happening places, and visit them every Saturday. Cafes are places to hang out and chill. They're calm, and best of all, have coffee! Try out all the cafes in your city and find the difference between their interiors and lattes! Cafes are great hangout spots, and reuniting with your friends here is something to look forward to. If you have any museums in the city, visit them. You'll be surprised by some facts and it never hurts to know more. You can also try other places of historical importance--be it an old temple or the house that was built some 300 years ago. If you've got any water body in your city, what are you waiting for? Go there and have some splash in the cold monsoon or the very hot summer! You can search for water bodies like waterfalls, beaches, lakes, ponds, rivers, seas, oceans, etc. If your city has those cool amusement parks and water resorts, it is something I really must not tell. Just have some fun, guys! No matter how cheesy gardens are, they're beautiful. Visit all the gardens in your city, and relive childhood. Don't forget that they're an excellent photography-spot too. Oh that famous wadapav-wala? Or the lip-smacking, spicy misal that's crazily popular? Why don't you try it out? Visit all those hyped restaurants, no matter how unhygienic they are. After all, they're popular for some reason. I'm sure there must be one trekking spot at least 15 to 20 kilometres away from your home. It's time you take out your trekking-shoes and go climbing! Visit a mountain/hill that's in your city as your next trekking-spot. Just like there is a mountain/hill near you, there also could be a forest where humans are allowed. I think you should definitely go there, especially if you're a wild photographer. You'll come across species you've never seen before. Ahan! Who doesn't love non-humans? I sure do! Dig in Google and search for all the places where these furry and wet living things are! Those lonely, crazy roads that you always thought were perfect for road-trips might really be perfect. You will not know unless you go on them. Get a car, pack it with your best buds, and go road-tripping! Try all those roads that connect with different cities. Halt at random food-stalls and be a travel-bug for real. You always get invited for some or the other local event on Facebook. It's time you check for their details and visit one. You never know, but you might find it useful! There could be many such famous spots in your city where everyone has already gone and made a fuss about it on social media. You too go there and make fuss yourselves! 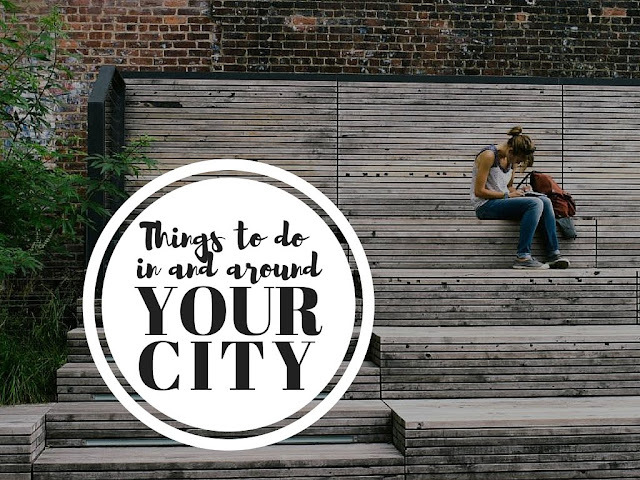 I hope this guide was useful and I hope you really explore the very own city you're living in. I'm gonna upload a EXPLORE YOUR CITY Printable soon, so watch this space.